Atradius N.V. is a private company wholly owned by Grupo Catalana Occidente and Grupo Compañía Espanõla de Crédito y Caución. The companies listed below are the shareholders of Atradius N.V. Their interests are shown in the chart as a percentage of the total number of shares issued at April 27, 2012. Grupo Compañía Espanõla de Crédito y Caución, S.L. 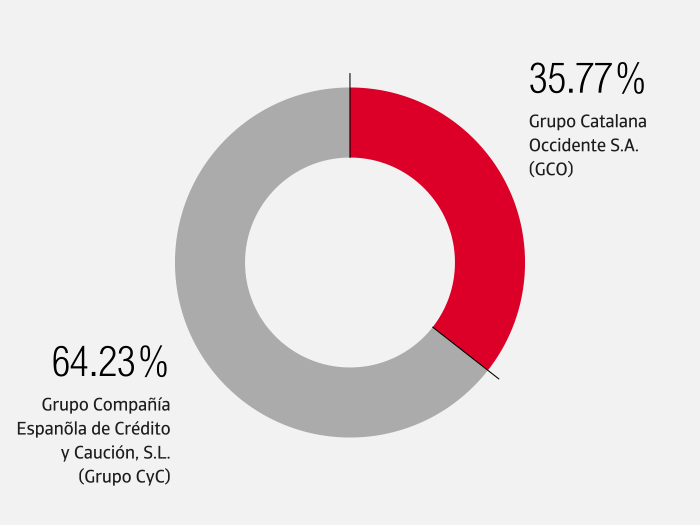 (Grupo CyC) is a holding company majority owned, 73.84%, by Grupo Catalana Occidente. Grupo Catalana Occidente S.A. (GCO) is, either directly or indirectly, the parent company of a group of insurance companies. GCO is listed on the Barcelona and Madrid stock exchanges. GCO has an economic stake in Atradius N.V. of 83.20%, of which 35.77% is directly owned and 47.43% is owned indirectly through Grupo CyC holding company.